When a ring cannot be removed easily from the finger, take a string or thread and draw one end through between the ring and the flesh. Coil the other end of the string around the finger covering the part from the ring to and over the finger joint. Uncoil the string by taking the end placed through the ring and at the same time keep the ring close up to the string. 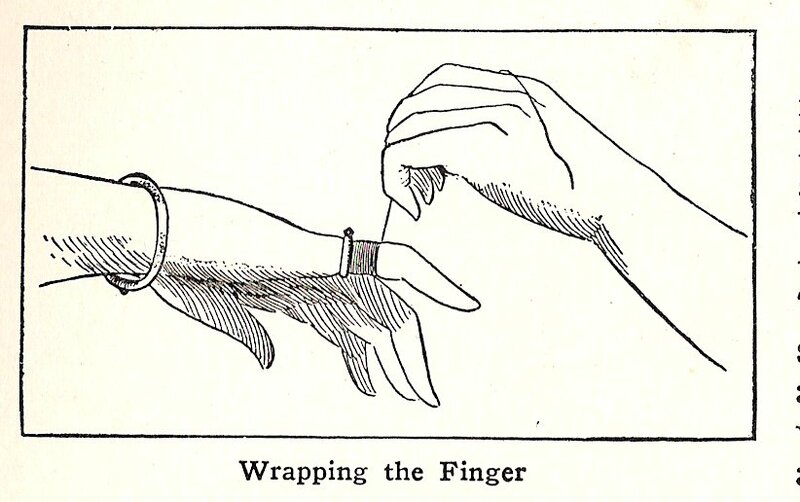 in this way the ring can be easily slipped over the knuckle and off from the finger. - Contributed by J.K. Miller, Marietta, Penn.